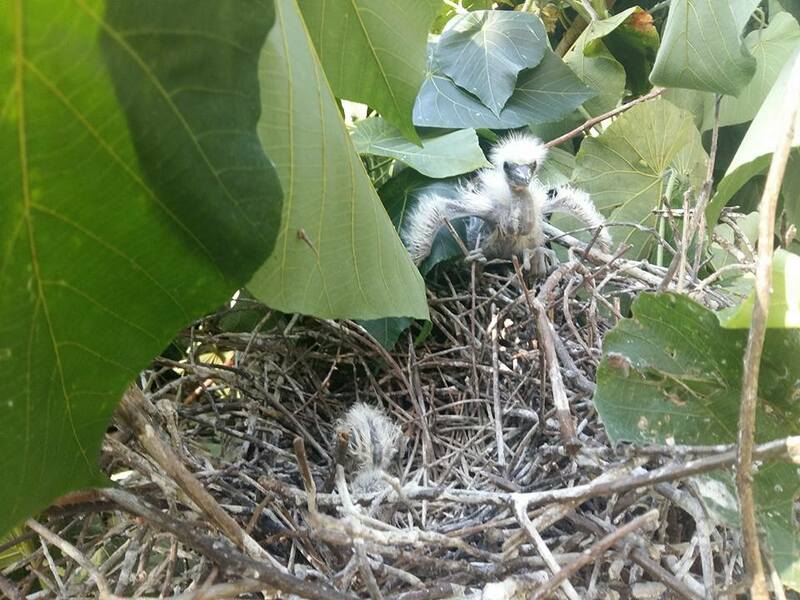 The Leisure and Cultural Services Department (LCSD) has come under fire after its tree team insisted on pruning trees where bird nests were located, leaving several baby birds dead or injured. The incident took place on Tuesday at the protected Tai Po Egretry – the city’s second largest egretry. Witnessed said the pruners went ahead with the operation despite objection from passers-by who told the workers that herons and egrets were nesting there. The tree team pruned a tree despite objection from passers-by. Photo: Kenny Or, via Facebook. The Hong Kong Bird Watching Society intervened upon learning about the incident. It called the Agriculture, Fisheries and Conservation Department (AFCD), which sent rescuers to the scene in the afternoon. A total of 15 birds were sent to the rescue centre of Kadoorie Farm and Botanic Garden on Tuesday. However, Kadoorie said five were dead when they arrived, and another was euthanised. It said the remaining nine were in a critical state. 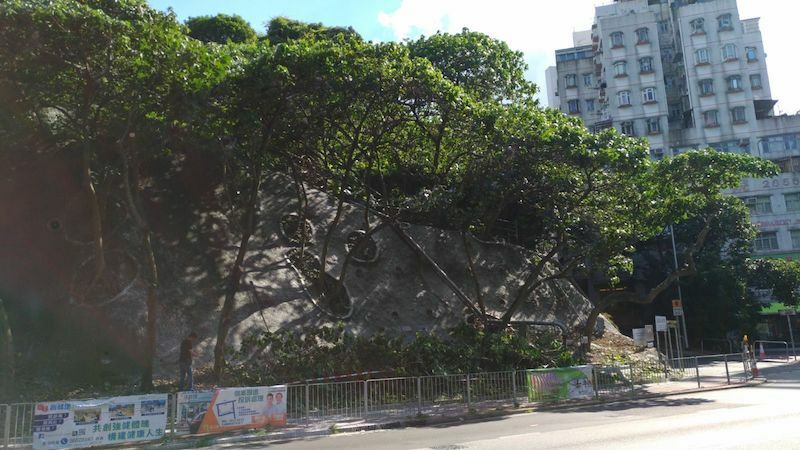 Woo Ming-chuan, the society’s conservation officer, told HKFP that there had been similar problems with scaffolding and other works in the area. 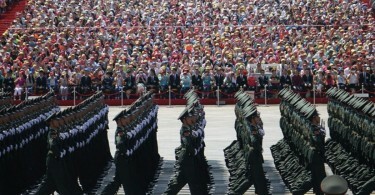 “But we were able to communicate with the relevant units, which made arrangements accordingly,” she said. Two baby birds and their nest fell to the ground. Photo: Kenny Or, via Facebook. Woo said her society maintains communication with governmental departments, which were usually willing to postpone work. The society has also put on workshops and issued guidelines to help train civil servants on what to do in similar situations. “Maybe [LCSD employees] didn’t notice or circulate the guidelines within the department,” she said. Woo said it is difficult to assess the impact of Tuesday’s incident at this stage, as it remains to be seen whether the affected adult birds will return to the nests. 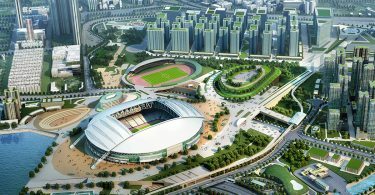 “The situation is not very optimistic,” Woo said. 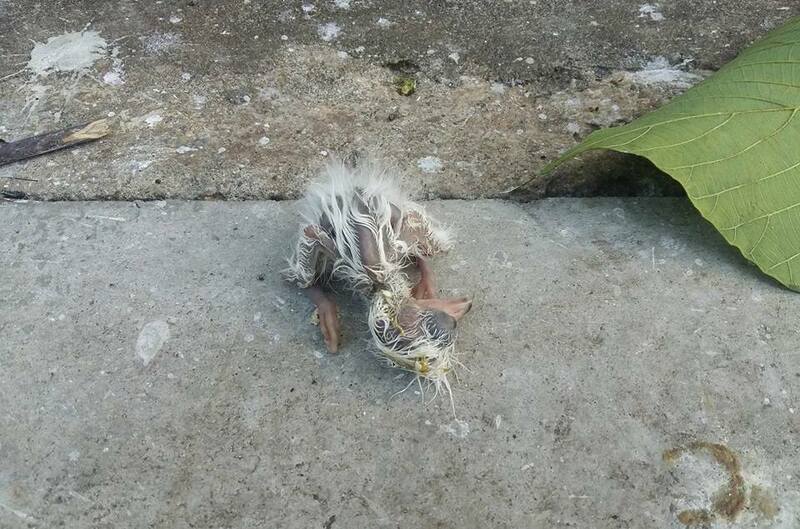 A baby bird fell to the ground. Photo: Kenny Or, via Facebook. The LCSD said the operation took place following complaints that the canopies were too dense. District councillor Wong Pik-kiu of pro-Beijing DAB party told Commercial Radio that some residents complained of bird droppings. The LCSD said it received a phone call from the AFCD on Tuesday morning asking it to suspend the work. “However, our workers had already completed the work and left,” it told HKFP. 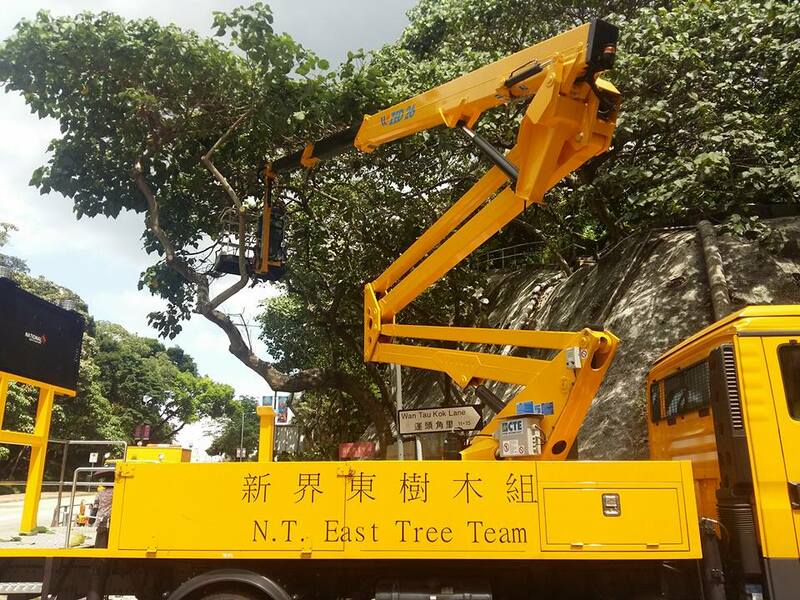 “The LCSD apologises for any impact the tree trimming work might have on birds nesting in the area,” it said. 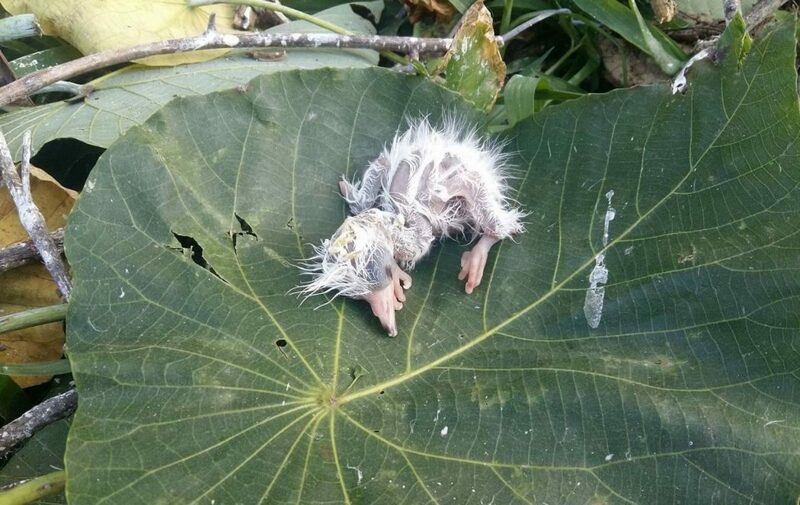 But Woo of the Hong Kong Bird Watching Society said the statement was unacceptable. “The wording shows the department did not admit any wrongdoing. It is a fact that some birds were affected, but the department said maybe there was some impact. I don’t think it is a formal apology letter,” she said. Pro-democracy lawmaker Eddie Chu also said he will ask the relevant departments to explain the incident. He criticised the government for failing to protect the bird nests. At least two petitions were launched condemning the LCSD and demanding an explanation. One of them questioned why the LCSD insisted on trimming the trees during breeding season, and why its pruners did not use their common and professional sense on Tuesday. The government listed the affected egretry as a Site of Special Scientific Interest in 1994. It is home to 151 nests of several egret species and night herons, according to the Hong Kong Bird Watching Society.